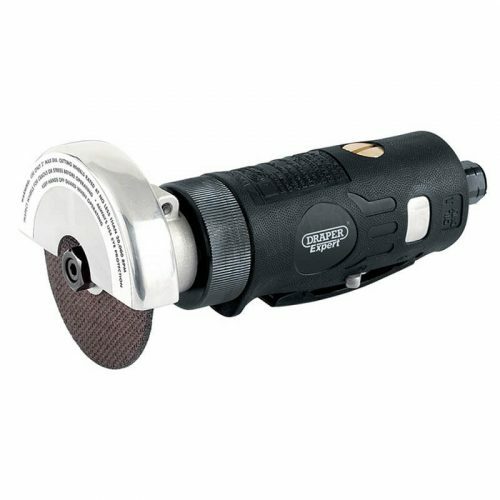 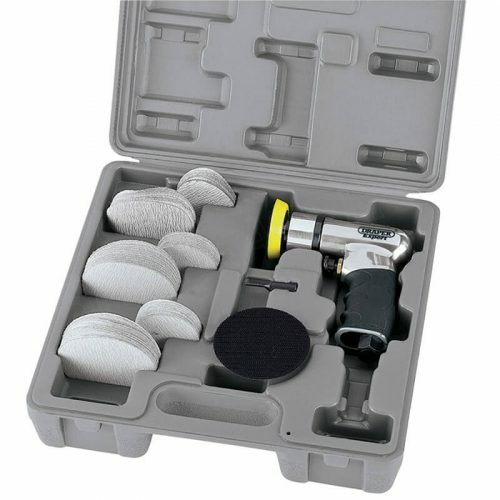 Draper Storm Force, low noise, low vibration soft-grip 3/8″ air impact ratchet. 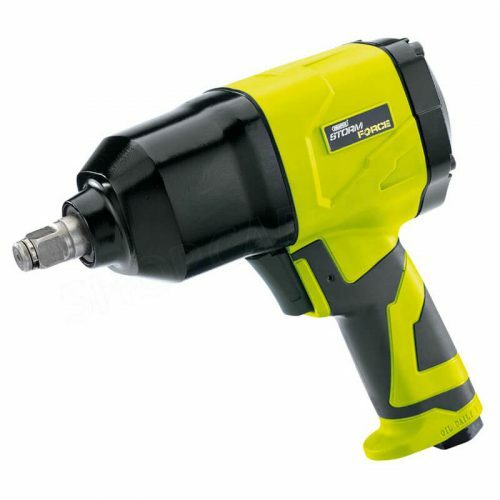 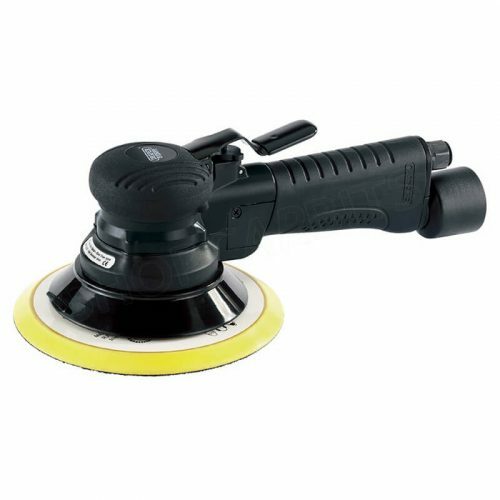 It’s lower noise, lower vibration and ergonomic soft grip ratchet delivers an improved user experience and the rotating air inlet helps prevent airlines from tangling. 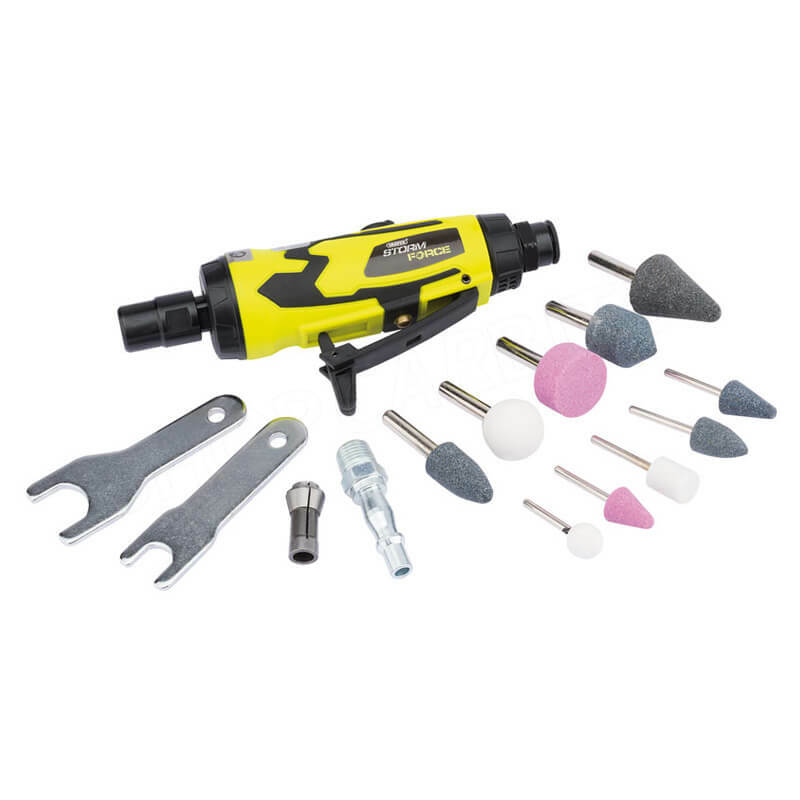 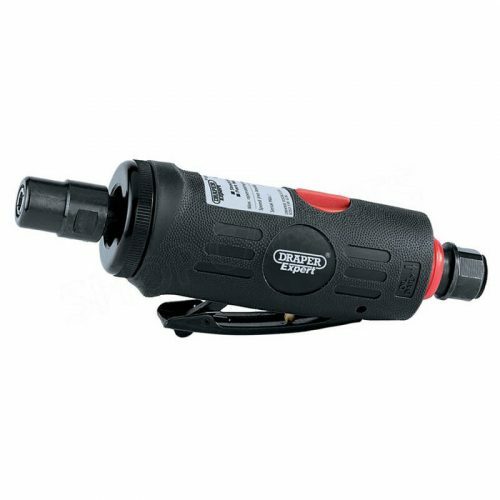 Each air ratchet is manufactured with a high strength, alloy motor and gear housings, achieving an impressive performance and the composite body makes for a lightweight tool, that reduces operator fatigue and the ‘cold sink’ effect. 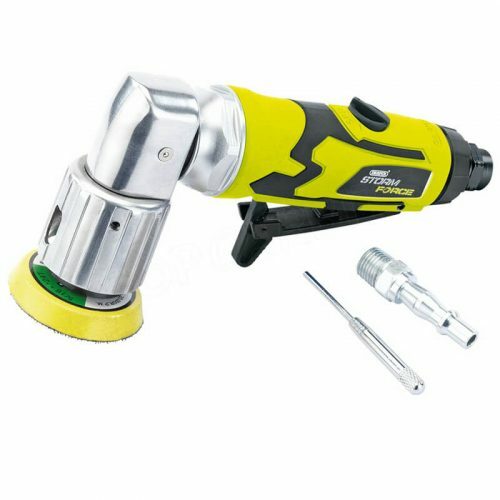 Supplied with 75mm extension bar, oil pot, 7 x 3/8″ sockets: 9, 10, 11, 13, 14, 17, 19mm, air line connector, universal joint, 2 x 30mm PH bits No.2, No.3 and a bit holder, accompanied with a blow mould storage case for convenience.